JustEat.ie Ireland's most popular takeaway service recently contacted me regarding a review of their app and food; it's a straight to the point service, fool-proof and the variety of food on offer is amazing! I was delighted with life when JustEat.ie offered me a €25 to spend on anything I wanted from the app, preferably a healthy option. Challenge accepted. I've used JustEat.ie quite a bit before (in Ireland and the UK) but out of habit I have tended to order directly from my local takeaways as the leaflets are always lying around my house. However, the ease of ordering online or off of the phone app on JustEat quickly changed my ways - I'm an awkward human being and have a ridiculous phobia of making/ answering phone calls at the age of 21 so being able to avoid that factor when ordering food is a huge plus for me! Honestly, 90% of the time I feel crap after a takeaway; whether it be a 3 in 1 (Irish speciality) or a giant pizza hangover cure, I never tend to opt for the healthy options - stupidly. My friend Chris and I sat down the other evening and trawled through every takeaway Dublin 2 had to offer on the app for healthy-ish noms; we were both genuinely surprised at how many healthy alternatives there were - whether it be that food was cooked differently (boiled/ baked as opposed to fried) or if gluten-free options were available, it was really refreshing to see. 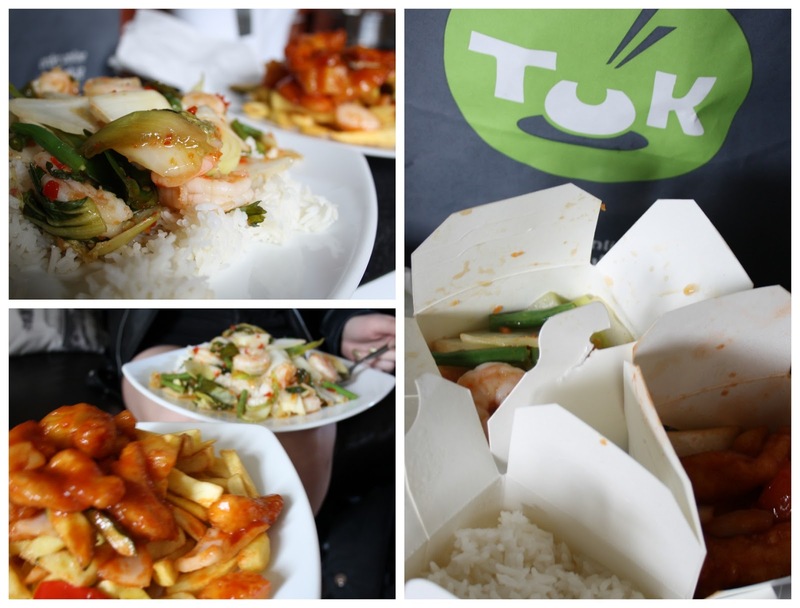 We finally settled for a Thai takeaway in Fairview called 'Tuk' offering coeliac and gluten-free grub. I opted for the Prawn Sweet Chilli and Chris chose the Chicken Sweet and Sour, both priced at a reasonable €9.95 for the portion sizes. We were over the moon when the food arrived in less than 20 minutes; the packaging was also really quirky and modern - something a lot of takeaways pay little to no attention to these days! We already knew we chose the right place before we had even opened up the boxes. We both absolutely devoured each meal - the food was cooked to perfection and there was absolutely no off-putting grease to be seen. My dish in particular was divine; I'm a huge seafood lover and I was over the moon with how the prawns were so brilliantly cooked (I'm sure fellow fish lovers have experience ddodgy prawns before - it definitely isn't a nice experience, haha). We both emptied our plates and believe it or not, we didn't feel bloated or sick afterwards! I can't remember the last time I ordered a takeaway and didn't regret it within 5 minutes of opening the bag up. I've become relatively healthier this year and I have recently started to work out so it's great to know healthier options are available to me at the click of a button, it's just a matter of finding the right places and trying them out! I know we'll both be ordering from JustEat.ie and Tuk again for sure, between the food itself, the ease of us and the prices - we were thrilled! 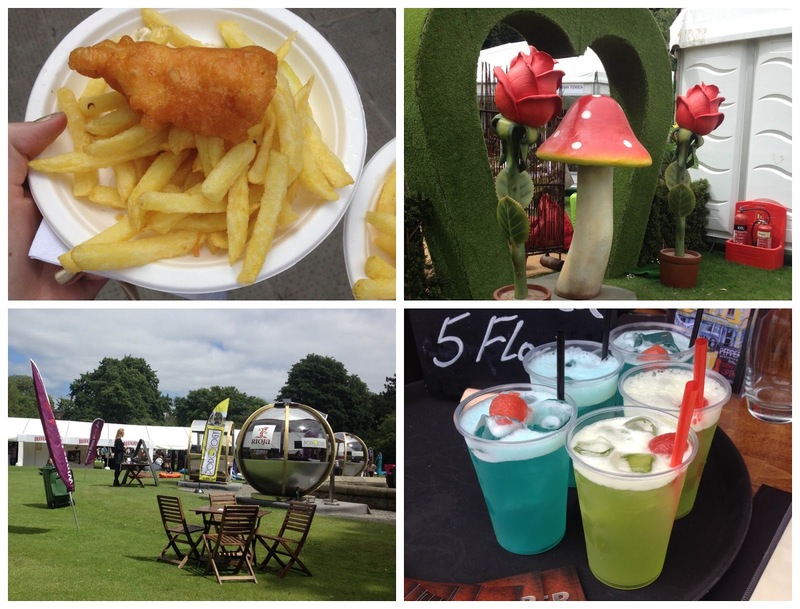 I attended Dublin's top food festival last weekend - Taste of Dublin - courtesy of JustEat.ie also; as a big foodie, I was naturally extremely excited to go and inhale 50 platters of food. My cousin Ellie and I ventured out to the Iveagh Gardens with empty stomachs, preparing for the food-filled day ahead. 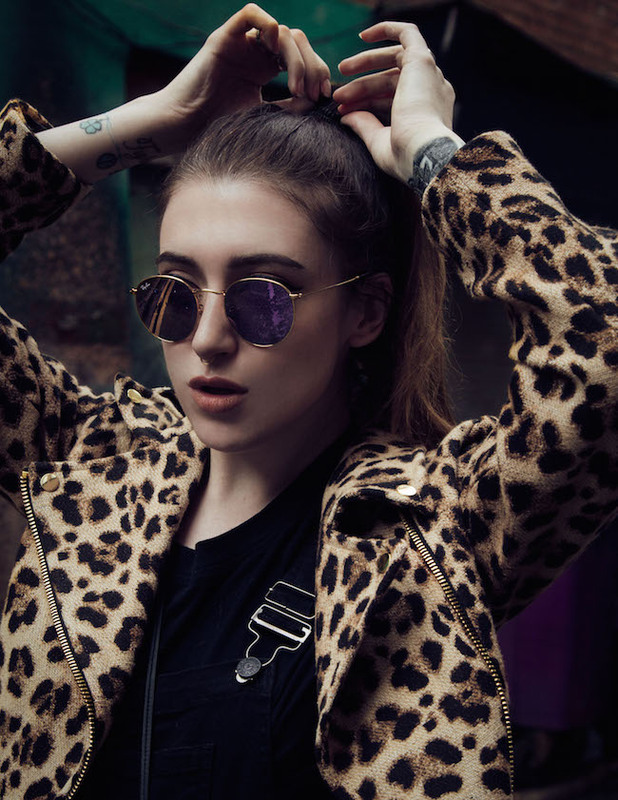 It was a large-enough festival; perfect for a family day out. Full of colour and life! We ate and tasted everything from fresh cod and chips, sea salt ice cream, caramelised whiskey and more - it was brilliant! We left with full bellies and giant grins from ear to ear so it's safe to say I'll be returning next year for another day of grub!